ClarkCountyToday.com reporter Paul Valencia takes a look back at Week 2’s football action and a glance ahead at the Week 3 schedule in his weekly reports of Clark County’s high school teams. Today, the Class 2A Greater St. Helens League teams are featured. The Class 4A and 3A Greater St. Helens League team notes have also been published. The Class 1A Trico League team reports will follow. Next: R.A. Long at Hockinson, 7 p.m. They traveled, they played, they conquered, and then they got to watch it all over again. Not just on Hudl, but on TV. 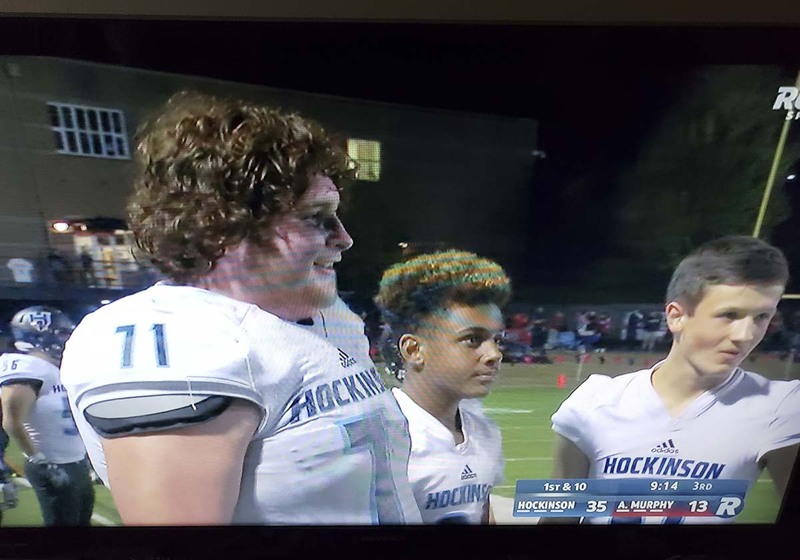 The Hockinson Hawks beat Archbishop Murphy in Week 2 on live television. Pretty much all of the Hawks recorded the game, then watched the broadcast over the weekend. Steele, by the way, has lost about 35 pounds. Of course, TV adds 10 pounds. Sorry about that Coach. I watched the game from my couch. Yes, I was taking stats. Because that’s what I do when I watch high school football games. Even on TV. So I was “working,” in my zone, watching every play. So I really was not ready for what I was about to see. Nathan Balderas recovered a fumble after a huge play by the Hockinson defense and then nearly flattened the football with one the most violent spike in Hockinson football history. I gasped. Then my jaw dropped. Did that just happen? I reached for the remote, hit the back button, and sure enough, yes, yes he did just do that. Then I tweeted it was the best thing I’d ever seen on Root Sports Northwest. Now I must say that as fun as it was to witness on TV, this should be the last time we see a Hockinson football player spike the ball. The defending state champions will play a home game for the first time since last season when they take on R.A. Long. This is also the league opener for both teams. “We’re trying to get five league titles in a row. That’s hard for anybody to do,” Steele said. “Weeks 4 and 5, we have River and Woodland. Those people want a league title just as bad as we do, maybe more. Plus, everybody wants to beat the defending champs. Even if the second game came against a struggling program, a shutout is not an easy thing to accomplish. Yet here are the Spudders, going into Week 3, and no one has been able to score on them. Winning is a blast, too. The first victory might have stunned some people, just based on the opponent. La Center is a small-school power around these parts. The second victory shocked no one. The Trappers are starting over. Still, the Spudders cannot be choosy. They, themselves, only won one game last year. In other words, 2-0 should be celebrated. “I’m happy for the boys because they endured a long season with a lot of disappointment (last year). Nice to see smiles on their faces and for them to enjoy a couple of wins,” Abrams said. As far as the victory over Fort, Abrams said it was great to see Brock Harrison get in the end zone. A defensive force, he is also a tight end on offense. He caught a pass from Hunter Abrams for a score. On defense Kalvin Staker stood out from his defensive line position. He is 6-6, so he always stands out, but in this case, the coach noted his play, not his height. “He’s a long, menacing kid to deal with. He’s really shown some great leadership qualities this year, both in practice and in games,” the coach said. The schedule is about to get tougher for the Spudders. They host Columbia River to open league play in the Class 2A Greater St. Helens League. 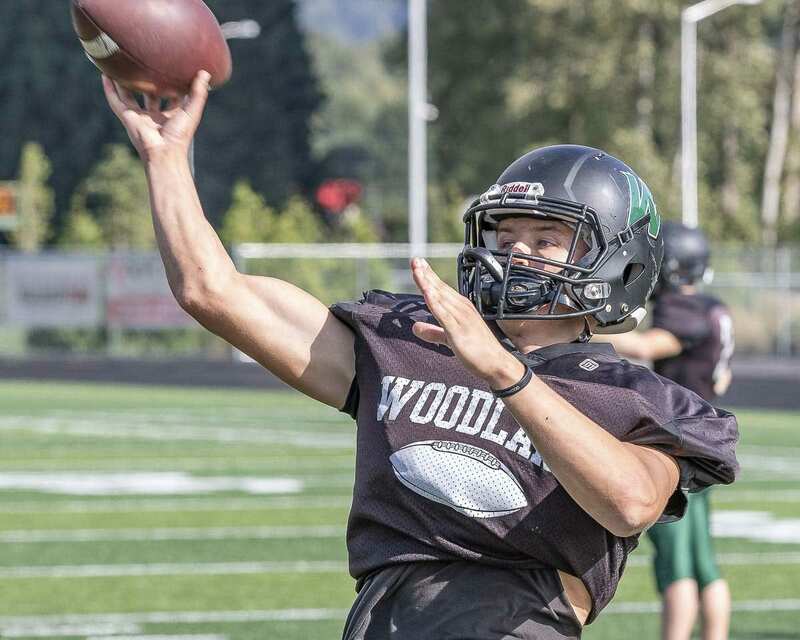 The Woodland Beavers will travel to Washougal to open league play Friday. Their opponents are impressed with what they have seen on video. Hajek said that Woodland quarterback Tyler Flanagan might be the best overall athlete in the league, and that is saying a lot. Plus the Beavers have a lot of talent around him. 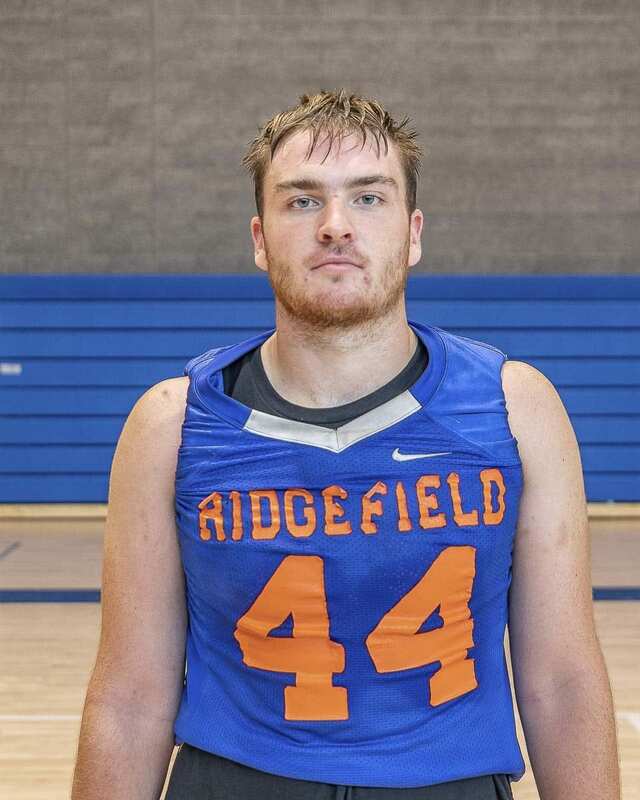 Speaking of Flanagan, it is safe to say that most observers call him a running quarterback. He is an extremely talented guy with the ball in his hands, for sure. But don’t sleep on his passing ability. Video from last week’s game against La Center shows he has great touch. He threw a perfect ball to Christian Yager on a 68-yard touchdown pass. On the next series, he found Wyatt Wooden on another ball that was perfectly placed. Wooden had a step on his defender, but the ball did not need to be a dart. Instead, it had to be lobbed, a bit, just over the head of the defender. Touchdown Woodland. Also watched his fourth TD pass of the game, a 72-yarder to Kenyon Guy. Sorry, Tyler, I can’t give you too much credit on that one. Even I could have thrown that ball, Guy was so wide open! The Panthers wish they could have this one back. They led for a half. And then they had a chance to tie in the second half. Then they let it get away from them. “We’re a young team. We have some hard lessons to learn,” Washougal coach Dave Hajek said. “We made vital mistakes down the stretch the last two minutes of the game that cost us a chance to win the game. Still, there were plenty of positive things as well. As a young team, this squad is learning those tough lessons. Hajek believes the squad will be better this year and beyond. Brevan Bea stood out again for the Panthers. He has had back-to-back great games, returning from a broken leg suffered last season. In Week 2, he had a 13 tackles plus he intercepted a pass and returned it 75 yards for a touchdown. On offense, Hajek noted the play of offensive lineman Tommy Liston. Washougal will host Woodland in Week 3, the opener of league play for both teams. The Columbia River Chieftains were in jeopardy of getting a running clock against them in their rivalry game against the Skyview Storm. Or so the scoreboard said. Not really, though. No way. Not this night. The Storm went up 34-0 with 9 minutes left in the third quarter, but the Chieftains never stopped competing. In fact, they scored on the final play of the game to avoid the shutout. And even before then, the defense stepped up to make sure Skyview would not get to a 40-point lead, to force the running clock. Take away the horrendous start for the Chieftains, and this game was a lot more competitive. Skyview returned the opening kickoff for a quick lead, then made it 14-0 less than four minutes later. “We were behind 21-0 before I could blink,” Swain said. From there, though, he saw good things from his squad. In fact, it was a 7-6 game in the second half.